A summer undergraduate research program at UNC in the biomedical sciences for rising college juniors and seniors from diverse groups. Do you want to spend the summer doing cutting edge research at a top-ranked institution? Do you want to develop into a competitive biomedical graduate school applicant? Do you want to meet students from around the country with similar interests? If you answered “YES!” to the questions above, then UNC’s SOLAR program would be an excellent choice for you! UNC’s Summer of Learning and Research (SOLAR) Program is an intensive 10-week experience designed to prepare diverse students for graduate research and careers in science. The program is open to rising juniors and seniors from 4 year colleges and universities around the country, particularly those from minority serving institutions (MSIs). Our goal is to provide undergraduate students interested in careers in biomolecular research with an opportunity to carry out independent research projects under the guidance of a UNC faculty mentor. This intense summer research experience will introduce you to cutting-edge research and will provide you with a realistic view of graduate school and biomedical research careers. You will be immersed in the research process, including the design of a research project, methods for conducting controlled experiments, data collection, data analysis, and team-work. 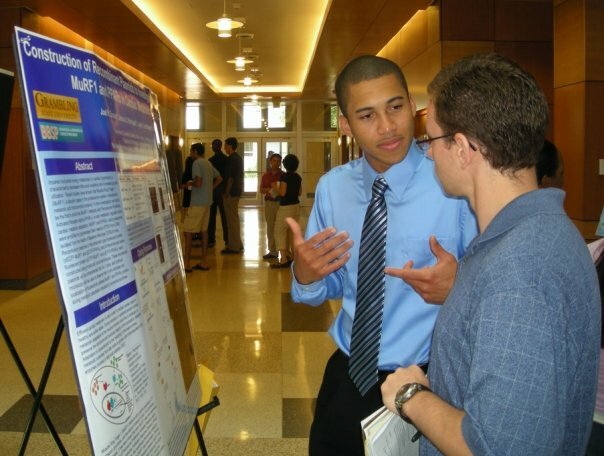 We will help you develop strong scientific communication skills and you will have the opportunity to present your work in the cross-campus summer research poster session at the end of the summer. Students must be rising juniors or seniors from a 4 year college majoring in a STEM field (rising sophomores with prior research experience will also be considered). Individuals who will contribute to the diversity in biomedical sciences are encouraged to apply, particularly those who are currently part of their home institution’s MARC, RISE, or IMSD programs. Applicants are encouraged to provide information about themselves that they feel contribute to the diversity of the biomedical sciences education at the university and/or the biomedical sciences profession, including but not limited to, information about the applicant’s background, experiences, socio-economic status, or personal qualities. Each applicant’s diversity is assessed in a flexible, individualized, and holistic manner, and consideration is given to all the ways an applicant might contribute to a diverse educational environment. Students with graduation dates in May 2019 are not eligible to apply unless they will continue to be enrolled at an undergraduate institution in the Fall of 2019. Students that currently hold a baccalaureate degree are not eligible to apply unless they will be enrolled in an additional undergraduate program in the Fall of 2019. An understanding of any prior research experience through a clear description of their research in their personal statement. Students with their own funding (partial or full) are encouraged to apply (through a MARC or RISE program, for example). The dates for SOLAR 2019 are Sunday, May 19th through Friday, July 26th. Please do not apply unless you can commit to being present for the duration of the program. Click here for answers to frequently asked questions about the program. What will you get in UNC’s SOLAR program? The application requires students to fill out an appilcation, upload a personal statement and a transcript, and provide contact information for references for two letters of recommendation. If you have any questions about the SOLAR program please contact Dr. Jessica Harrell, SOLAR Director, by email (solar@unc.edu). What kinds of life science research are going on at UNC? UNC ranks among the best public universities in the nation. We are a Research I institution with more than 300 active faculty members performing research in a variety of areas in the biological and biomedical sciences. Many of our faculty are Nobel laureates or members of the National Academy of Sciences. Once you are accepted into the SOLAR program, Dr. Harrell will work to place you in a lab that fits your interests, where you will receive superior mentoring and training. Please click here for information on how your company can sponsor a talented visiting summer student. CB# 7108, 1121 Bioinformatics Building.